ATLANTA, June 19, 2017 — Serta Simmons Bedding, LLC (“SSB”), the largest manufacturer and distributor of mattresses in the United States, has finalized plans to combine all company locations into a single headquarters location at Assembly in Doraville, Georgia. The new campus will house 500 employees, for SSB and its two leading brands, Serta® and Beautyrest®, starting in early 2019. 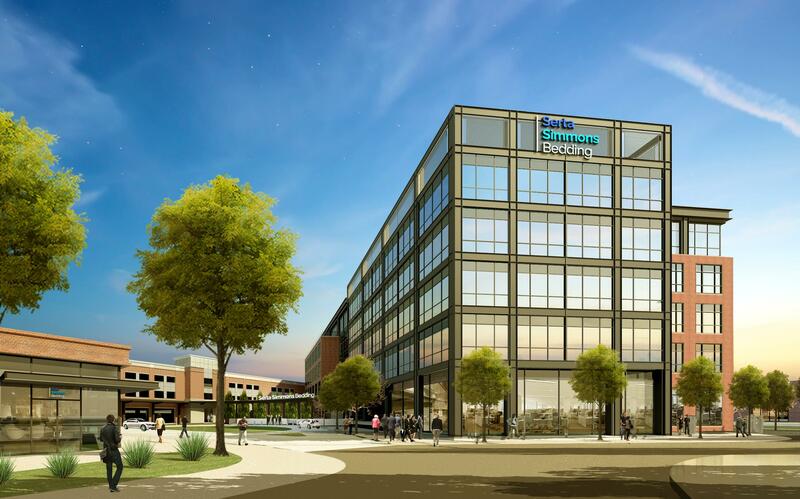 The approximately 210,000-square foot facility, which will be built and designed specifically for SSB, will span five acres and feature an Innovation Center and multi-brand showrooms. Additionally, Serta and Beautyrest will each have their own separate and distinct spaces on the new campus to maintain brand differentiation. Holder Properties is the selected developer for the new headquarters and Rule Joy Trammell + Rubio are the lead base building architects. Hendrick and Associates will design the headquarters’ interior and JLL serves as the real estate advisor for SSB. Integral is the master developer of Assembly. This press release contains forward-looking statements within the meaning of the “safe harbor” provisions of the Private Securities Litigation Reform Act of 1995. These statements are subject to risks and uncertainties. All statements other than statements of historical fact or relating to present facts or current conditions included in this press release are forward-looking statements. Forward-looking statements give our current expectations and projections relating to our financial condition, results of operations, plans, objectives, future performance and business. You can identify forward-looking statements by the fact that they do not relate strictly to historical or current facts. These statements may include words such as “anticipate,” “estimate,” “expect,” “project,” “seek,” “plan,” “intend,” “believe,” “will,” “may,” “could,” “continue,” “likely,” “should,” and other words. Such statements are not guarantees of future performance and are subject to risks and uncertainties that could cause actual results to differ materially from the results projected, expressed or implied by these forward-looking statements. Any forward-looking statement made by SSB in this press release speaks only as of the date on which it is made. SSB does not undertake any obligation to publicly update or revise any forward-looking statement, whether as a result of new information, future developments or otherwise, except as may be required by law.